Whenever visiting any attraction in any country in the world, most travelers love spending their time exploring and enjoying local cuisines. Halong Bay tourists are probably no exception, and they would definitely be surprised by the exceptional gastronomy of this charming bay. Specially, below are 5 tasty dishes and drinks that you should not miss chance to enjoy in Halong Bay. Halong squid sausage is well-known not only in all three parts inside the country but also for international tourists. True to its name, the main ingredient is squid. 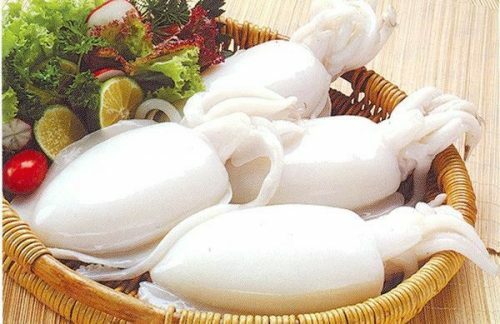 However, it is said that no kind of squid can make the squid sausage as wonderful as Halong Bay’s squid. It must be fresh squid that is newly caught. The dish, hence, will get the sharp and appealing tang. 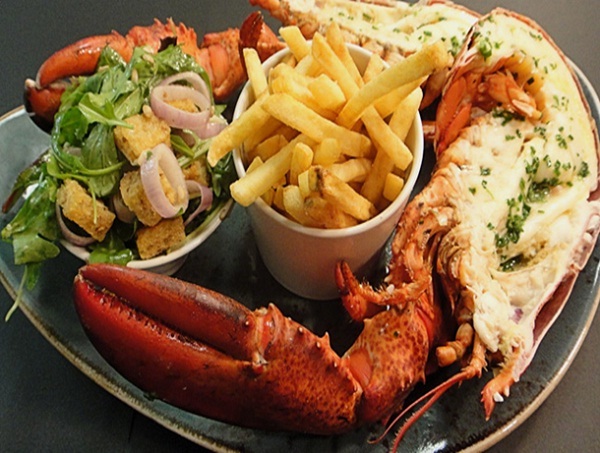 Lobsters have long been titled as King of highly nutritious seafood. Lobsters’ meat is extremely firm and sweet. Once you have tried it, you will never forget its taste. Visiting Halong, you will be able to enjoy lobsters in a unique way: drifting on the floating restaurant in Halong Bay, nibbling the dish and feeling the tang of the sea. Many dishes can be made from lobsters: fried lobster with salt, rice gruel with lobster, lobster salad or steamed lobster. Among them, steamed lobster enjoys the greatest popularity since it preserves the original flavor of lobsters. 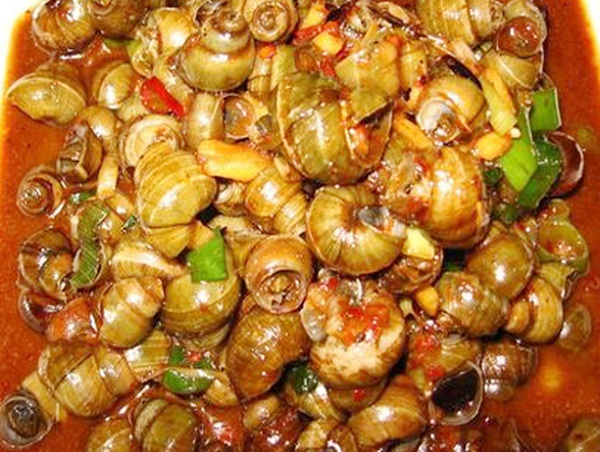 Apart from lobsters, squids, Halong has a less expensive food but sharing the same appetizing taste: Sea Snail. 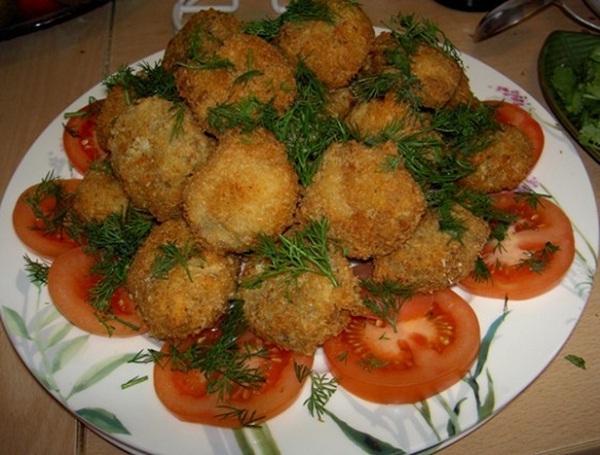 Sea snails vary widely in breed and cooking process; and fried sea snails with chili sauce seems to be the most common. Unlike its name, this dish’s cooking process does not involve any oil and water. The unusual ingredients of dried coconut, lime leaves and Vietnamese sage leaves (mui tau) are the top significant herbs contributing to success of the dish. Particularly, the sauce served with this dish is the chili sauce used in frying. Otherwise, visitors can use normal sauces. The steaming and colorful dish is a celebration of spicy chili sauce, fatty snail and typical aroma of Vietnamese herbs. Drink beer (bia hoi) while savoring this dish, this cold ice beverage will be blended surprisingly to give you a lifetime experience. This unparalleled drink is a local culinary delight of Halong. Made from a kind of glutinous rice that solely Halong has, Hoanh Bo soaked rice wine tastes sweet and sour. It requires experience and gentleness to produce this wine. Rice, without being ground, is cooked through, and incubated. Then, people soak fermented wine into a special leave of Hoang Bo forest, which helps to differentiate the wine from others. The wine is very drinkable, light, and hardly causing someone to get drunk. If someone unfortunately gets drunk (usually falling into sleep 2-3 days) due to overdrinking, they will not suffer from headache or tiredness. After sobering up, they even feel better and refreshed. Additional well-known seafood in Halong is oyster. Oyster is a nutrition-rich food and provides a plethora of energy for your body. Inside its hard-shell is blood-like red bowel, which carry the most delicious and nutritious part of an oyster. Similar to lobster, the best way to enjoy oyster is to boil it, which could maintain its taste. Putting some blades of lemongrass into pot, the water must be brought to a rolling boil. Oyster, then, is soaked into pot and taken out right after air bubbles rise. Enjoy it immediately with beer, for example, to get its finest flavor! 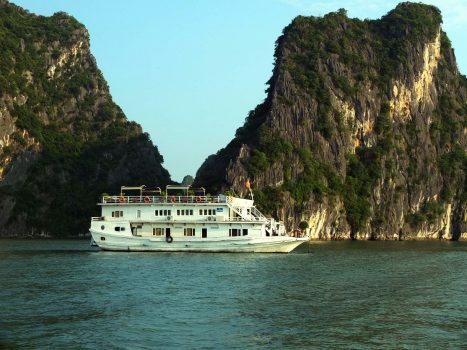 Traveling to Halong bay will bring you various experience from sight-seeing to cuisine enjoyment. No matter how you travel this famous destination, on a Halong bay cruise or strolling on land, you still have chances to try many delicious specialties of Halong Bay. Most of the famous dishes are seafood with the fresh source from the sea daily. 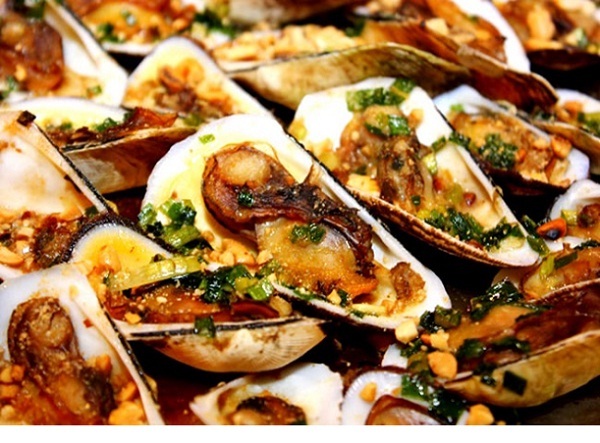 Enjoying these foods will surely make your Halong Bay trip more wonderful and memorable.